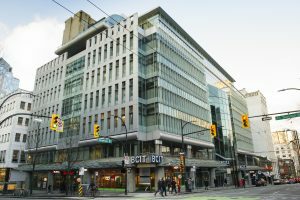 For graduates of all diploma programs at VanArts, we have partnered with British Columbia Institute of Technology (BCIT) to create the VanArts-BCIT Pathway: a cross-institutional agreement enabling VanArts graduates entry into BCIT’s School of Business. The most basic level is entry into an Advanced Diploma in Business Management (8 months). After completing both diplomas from VanArts and BCIT, an additional year of study at BCIT can be added towards a Bachelor of Business Administration (BBA). International students may apply for a post-grad work permit upon completion of either the Advanced Diploma or BBA. Options for 2 years (Vanarts 1 + BCIT 1) to dual diplomas, or 3 years (1 extra year for Bachelors degree). BCIT campus is across the street from VanArts. Opportunity to pursue further studies in business management. Business skills provide knowledge for entrepreneurs and start-up companies, and may lead to higher-paid supervisory roles in studios. 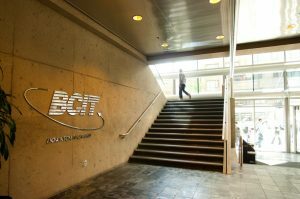 Who can Transfer to BCIT? VanArts alumni who have graduated from all full-time diplomas at VanArts since 2012 are eligible: 2D/3D Character Animation, Acting for Film & Television, Broadcasting & Online Media, Game Art & Design, Professional Photography, Visual Effects, Web Development & Interactive Design. How Long will it Take to Complete this Pathway? The Advanced Business Management Diploma is an 8-month full-time program that runs from September to April. If taken part-time it must be completed within 7 years, and the average time to complete the program part-time is 20 months.